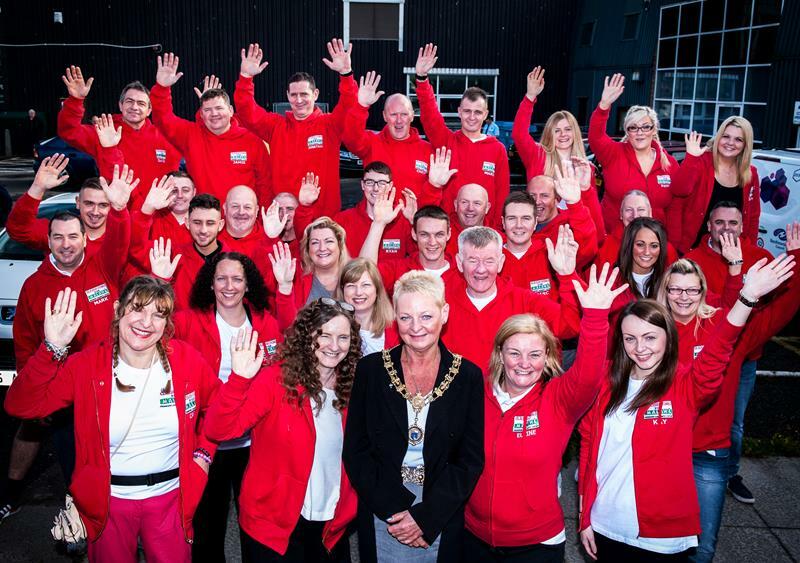 A 32-strong group of Renfrewshire Council employees set off this week to the East African country of Malawi with a special send-off from Renfrewshire’s Provost, Anne Hall. Provost Hall was on hand to see the team leave from Paisley on a 7,500 mile journey to the village of William where they will build and renovate school and other facilities for the Classrooms for Malawi project. The 16-day trip will help over 600 local children currently with little or no access to education. The group has raised over £70,000 which will largely go towards funding the building materials used. Elaine Scott, Building Services Operations Manager and part of the team going to Malawi, said: “Two million children in Malawi are either taught in unsafe and unfit classrooms, outdoors, of cannot go to school because the facilities are not there. We want to do our bit to help end this situation.